Here at homify we spend a lot of time poring over pictures of beautiful interiors with unusual features. But it's rare that we come across a home that really dazzles us with a surprising feature. Most of the time these features turn up in the most decadent high-end homes. This isn't just because of the larger budget for construction, it's also because the architect is often given the time to explore the reaches of their creativity and innovation. So today, we will lay tribute to some of the most creative and surprising home features we have found. Welcome to 7 homes with surprising features. We hope you love them as much as we do! 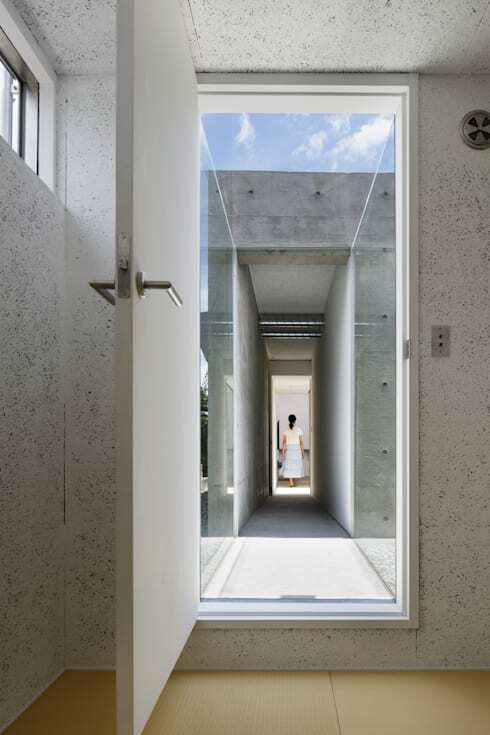 Anyone familiar with Japanese architecture knows how important transitional spaces are in these homes. These spaces are meant to encourage the occupants to acknowledge the shift in mind-set that occurs as one moves from one living space to another. Here the transitional space is beautifully presented in the form of a glass hallway. 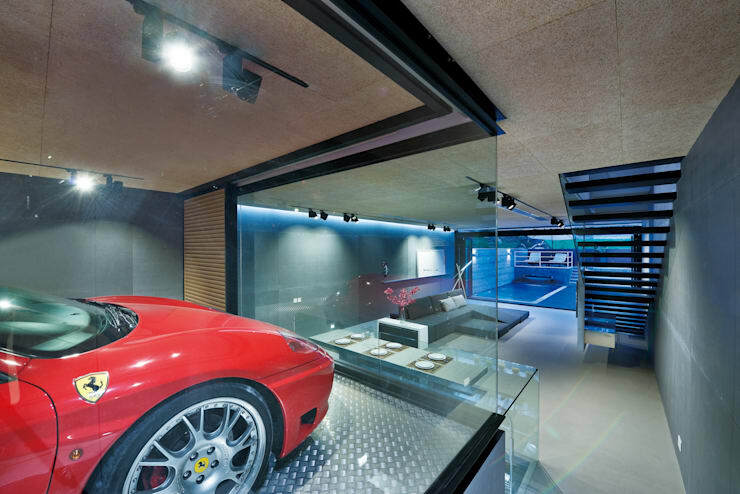 As most of us know, parking can be an issue in Hong Kong, so this special home has been designed with a car lift. Interior designers and decorators Millimeter Design have created it with glass walls and arranged it to take pride of place in the living room. This is certainly one for those who love admiring their car! 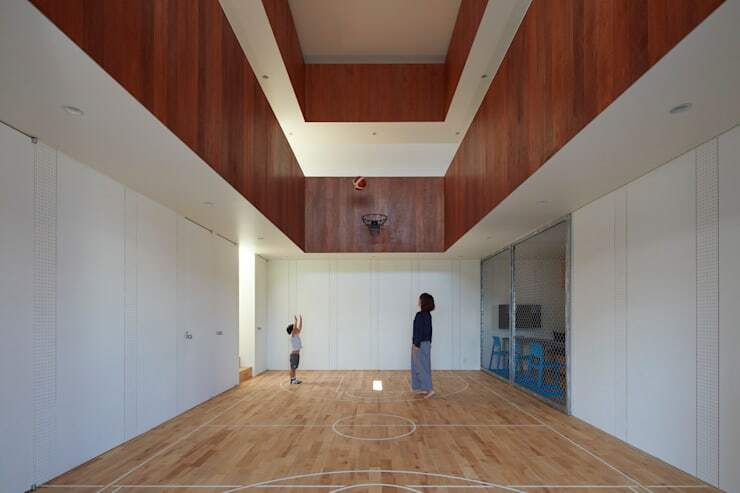 This Japanese home has an indoor basketball court in lieu of a standard living room. The kitchen is separated from the court by a large sliding screen and the upper levels look down into this space. It's definitely a home for a sports-mad family. This luxurious home has a swimming pool that covers two levels! 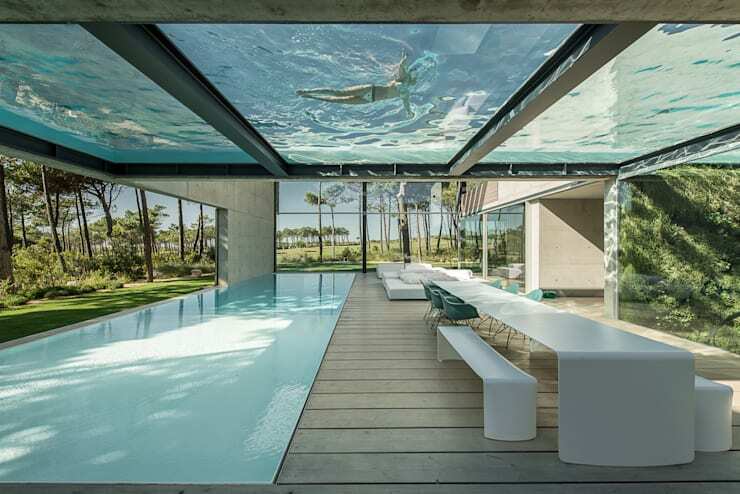 The lower level is a standard lap pool and the upper level is made from glass. The gorgeously lush tropical surroundings aren't too bad either! 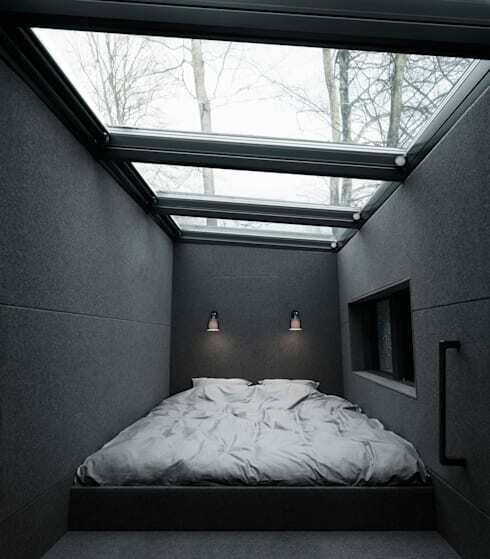 Nothing will quite encourage one to become attuned to the cycles of nature like a bedroom with a glass ceiling. The high canopy from the forest surroundings provides shade and infuses this bedroom with intense beauty. 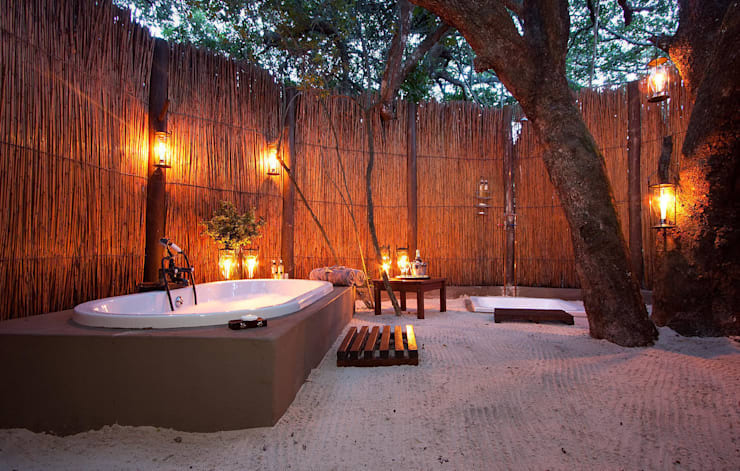 Outdoor bathrooms are fairly common in luxurious, tropical-style homes. But it's not often that we come across one with an outdoor bathtub. 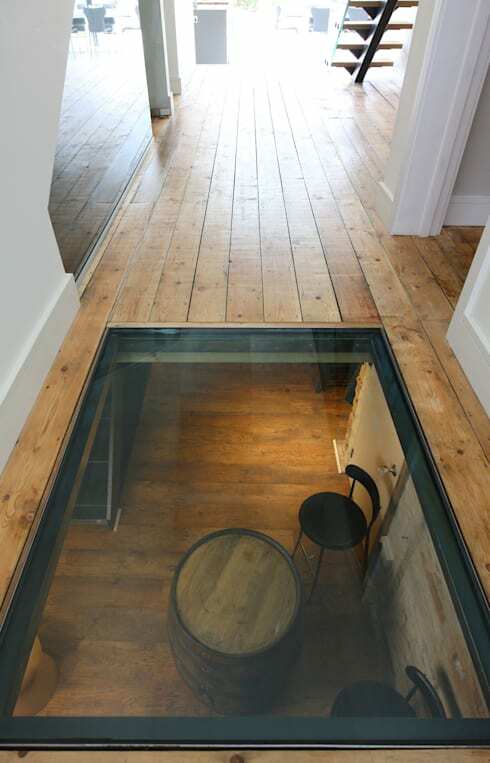 If you have a wine cellar, why not show it off by installing a glass floor. The gorgeous tones of the wooden floors add a whole lot of extra luxurious warmth and depth to this home. For more home inspiration, check out 8 breathtaking Asian gardens. Which of these surprising homes is your favourite? Let us know in the comments field below!